Free Embroidery Stick Ballerina for your Dancing Feet. Then just as we grew into an adult, we start to revert back to childhood…. and again, we start to stumble and fall, just as we did when we were small. The difference is, our bones break because now they are old, brittle and porous. Yes, the dance of life is a difficult journey and some of the heartaches are unbearable. However, I think that most believe that “It is better to have loved and lost than never have loved at all”. In reflecting on the past year and so much incredible sadness, I ponder when we lose a child, like a loved one or a beloved pet, would we forfeit the experience of having held them and loved them so we did not have to experience the pain of losing them? Although I angrily question why some of us are given children, only to have him or her taken away, I always end up with the same answer Although the pain of losing was and will always be unbearable, I would never want to have lived without the experience of loving such a precious spirit . so the answer would obviously be that a few precious years of loving that special person will leave incredible memories to help temper the incredible pain of losing them. 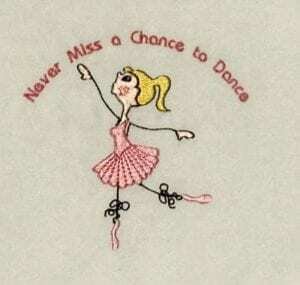 Therefore, we should never miss the chance to dance. Do you have Dancing Feet? And never skin my knees. Then nothing ever could go wrong. I’m just your average klutz. My knees are scarred with cuts. And kiss away the pain. Through the sun or through the rain. I know life would be so sweet.